Lewis Carroll wrote the sequel to Alice in Wonderland calledThrough the Looking Glass and What Alice Found There. It starts with Alice wondering what things would look like if she could see what was on the other side of the mirror. 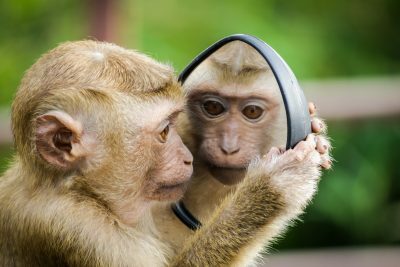 In a podcast I listened to this week by leadership expert Dov Baron, he made the statement that when faced with another person’s worst moment, you are merely looking at yourself in the mirror. Behavior that we do not like often happens in the workplace. The source of the behavior we do not like to see at work is often the manager. It is easy to judge the behavior it as unacceptable, until you think about what Dov Baron said: that your own behavior is staring back at you. In moments that you do not like what you see in the mirror as a leader, please show compassion – for yourself and for the person reflecting your hidden behaviors and fears. Ask yourself: how would you like compassion to be shown to you in your worst moment? Apply that to explore more positive responses. Compassionate leaders are in high demand with young employees. The leaders of today need to be aware of how their leadership behaviors are perceived. Once they discover the truth, they need to learn new behaviors to replace the ones that don’t successfully reflect their intentions. If you have doubts of what lies behind your mirror, I can help. Schedule a free discovery session, click here.